I’ve lost track of the days that there has been an extreme heat advisory. Extreme high temperatures plus extreme high humidity equals record-setting temperatures. There is no reason to be out in the sun and the heat unless you really have to. So we did not go to the beach and we did not fly any kites on Sunday. It was the regular club fly day but it was just too hot. And on top of that, there was no wind. Usually a breeze coming off the water can make the day a little more bearable. But not that day. We called our friend from the kite shop to see if anyone was flying and if we were needed to come out there. Only one other person arrived and it didn’t take much talking to convince him that there would be no flying. So we all stayed in the air conditioning and avoided heat exhaustion and dehydration. We can always fly another day. The day wasn’t totally without kites, however. 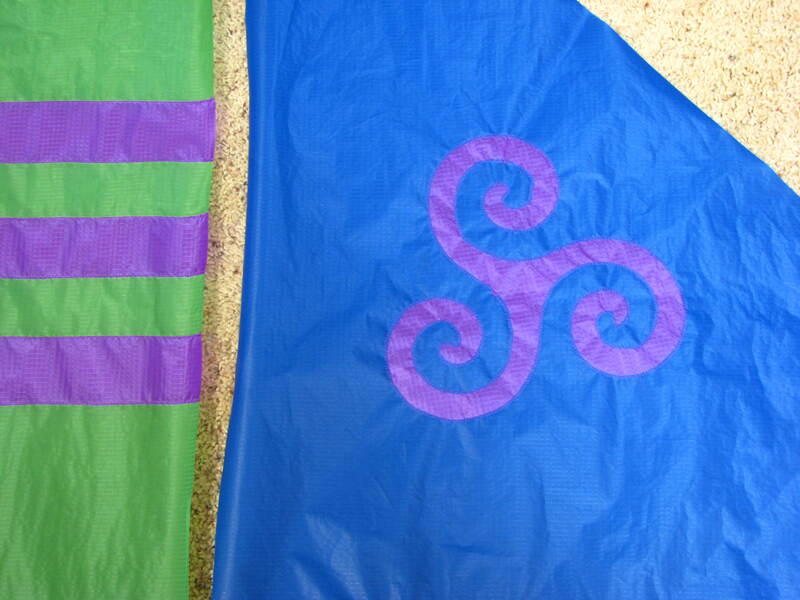 I have started sewing on my next kite. I’m making a Dunston-Taylor Box Delta. I’m kind of doing things backwards. The colors were picked out to match some line laundry. I can only hope the kite has the pull and the stability to haul the three-legged drogue. As if that wasn’t enough, I’m also putting some appliqué to the wings and box to add interest. 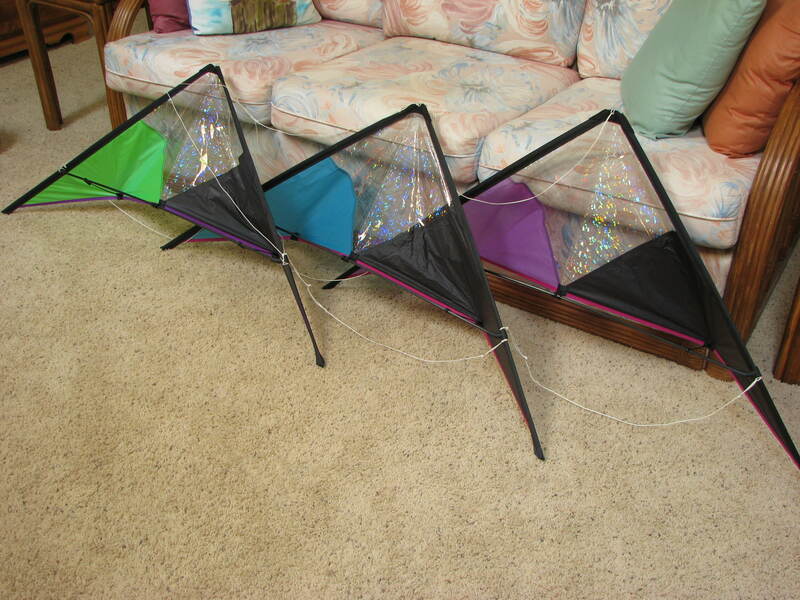 I just can’t seem to do kite building the easy way. If the drogue turns out to be too much for the kite, I will use the leftover material to make a pennant tail to trail behind this kite. 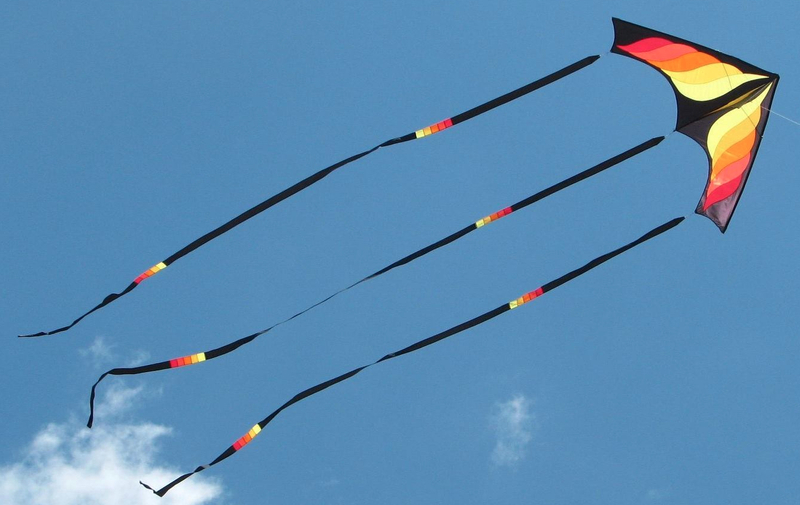 I’ve seen photos of this type of tail attached to this kite and it looks fantastic. I also took my three Goblins and stacked them together. 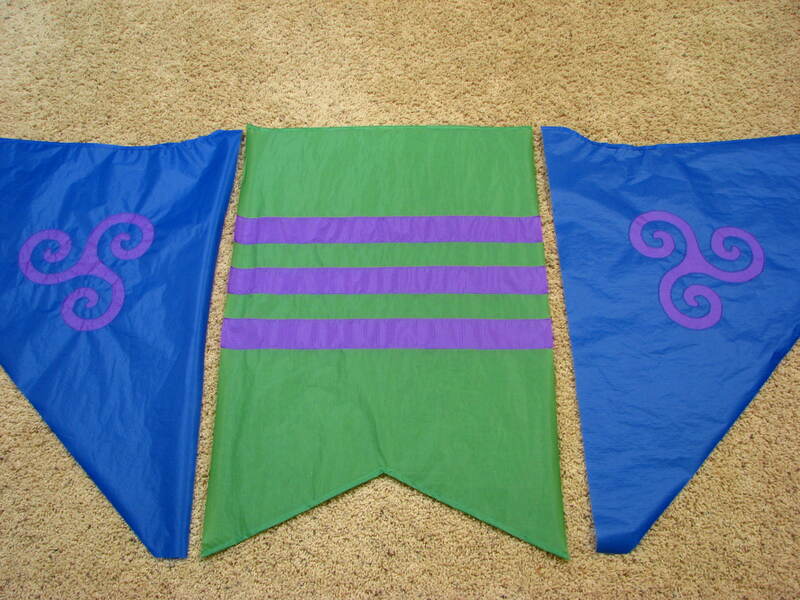 Now I just need a little wind to see how they fly. And I need some cooler temperatures. For all those who have to be out in the heat; stay hydrated, take breaks in the shade, and don’t over-exert. « What Am I Doing Out In This Heat?